"I believe I was ridiculously overcharged for changing the sparkplugs . Something I don't believe takes more than 130 $'s. Yeah, they will fix your car, but get ready to spend an arm and leg. Labor costs for 20 mins replacing = 126.60 which is too high, higher than VW labor cost. First I was told the spark plug is costing 220 $. When I quickly confirmed onlne and VW dealership then he changed the statement.I requested him not to proceed for the work as I was not convienced. All this happened within 5/6 mins of the time we started and Kedir said that we already opened the car and I have to pay for the labor charges which is 126.60 for 5 mins of (that much of time he spent on arguing) opening the Car. I told him 126.20 is ridiculously too high for 5 mins of work. Then he started giving me an example of Doctor. In case I visit him he will charge us irrespective. I told him that I am not at a doctor's place. Then he started telling me that rent of three shops and their maintenance. I felt trapped there and I was forced to do that because he was charging me 126 $ for not doing anything. Later I enquired from VW dealership for the price for changing the spark plug. They gave me a quote of 163 $ inclusive of labor charges. Note they also mentioned that its not necessary to change the spark plug on 60k. Avoid going here for service or maintenance activities. they just Squeeze your money out of you." "The manager and staff always go above and beyond. The prices are great, I'll never go anywhere else to get my cars serviced." "Excellent service and quality of work. The explanations with allowing "eye's on" the problem makes me extremely comfortable with this shop. Kedir is awesome. No upsales or overcharges. Wouldn't take my vehicle anywhere else!" 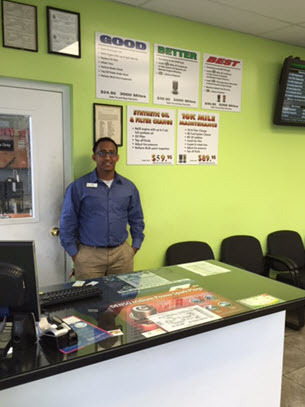 "Kedir e a great man and BP at Battlefield is an honest-to-goodness great place to take your vehicle. I cannot say enough good things about the people that work there!!!" "The service at Battlefield BP is second to none. Cheddar Ibrahime is one of the most professional, honest, and kind individual's I have had the pleasure to deal with in recent memory. When I was waiting in his shop, Kedir approached me and initiated a conversation. He could tell right away that I was a bit thirsty and so without hesitation, he got up and walked over to the vending refrigerators and retrieved a large bottle of water and a Snapple Iced Tea. When I offered to pay, he refused and said it was his good deed for the day. Sadly, common courtesies such as these are uncommon nowadays however, I'm happy to say that there are men like Kedir still around. Thank you Kedir for being a kind, warm hearted professional. You are a good man...!" "A last minute flat on the way to Dulles Airport could have been disastrous - but the gentlemen saved the day! The tire couldn't be saved, and I never buy just one, but they put 2 new ones on & we were on our way within 45 minutes! I went back a month later for my oil change & again received the same great, friendly, efficient service. I am grateful to have such a super "hometown" full service station!" "We stoppped in last minute on our way to Virginia coming from Maryland with what we thought was a flat, turns out only the rim was bent causing air to leak out. Although it was very busy the employees went out of their way to spend as much time needed to fix the rim, they banged out the dent and put the old tire back on within 20 minutes!! Everyone there was so friendly, helpful and trustworthy, they took the time to walk my sister & I through the problem without hesitation. They didn’t try to sell us anything other than what we actually needed, which is very hard to find at any other car shop. One of the best places to get your car fixed! Although we live in Maryland I’m definitely considering coming back to this place with any other car issues! Thank you guys so so so much. 10/10"
"They offer coupon tru third party. I purchase this coupon. juts hand up every one if you purchase any coupon and don't do any maintains with them they don't honor your coupon. I want to ask them its that the right way to get business. He give me bad service bec I just go there to oil changes its not nice. I never ever want to go to this shop." "Kedir, the manager and the rest of the staff treated me with a great level of professionalism and friendliness. I was also treated with a lot considerations. The motor of my car was not working properly. Being a student, I was not sure that I was going to be able to fix the issue. Kedir was very honest about the details of my car and I was given a fair price as well. Last but not least, I am beyond pleased with the outstanding service, they provided. I highly recommend this shop to anyone seeking a honest and fair service." "The service was great, and the care for the vehicle was amazing. But you really pay for it. I believe I was ridiculously overcharged for my repair. Only a new belt, something I don't believe takes $100+ of labor costs. Yeah, they will fix your car, but get ready to spend an arm and leg." "These people has high class service. I was extremely impressed with such a great professionalism and would recommend them to anyone in that area. I particularly want to thank Abdul and Carlos for the great help they provide to me. They fix my Mercedes and this is the first time I take it out of the dealer in 10 years. Thanks!!" "I was travelling from Baltimore, MD to Harrisonburg, VA and got a "Low Tire Pressure Light". I did not have a flat tire but had to travel many miles before I saw an exit that had a business that might take care of my problem. Battlefield BP was friendly, helpful and took care of my problem. I was extremely impressed with their professionalism and integrity and would recommend them to anyone in that area. I particularly want to thank Abdul and Carlos for helping me. In today's climate, most businesses do not take care of their customers they way that Battlefield BP took care of me. They get an A+++++++++++++." "Over the last 15 years I've used nearly every auto repair shop in the area. After discovering Battlefield BP, I'll never go anywhere else. Outstanding quality, fair price, quick turnaround and most importantly -- they're honest! Other places might rip you off. Never Battlefield BP. Service manager Kedir Ibrahime and the entire team set a standard of integrity that no competitor can match." "I just had the best service that I've ever gotten at a service station! I'm a wheelchair user, and I took my car in for a safety inspection today. When I got out of the car, I asked the guy if he could pull it up to the gas pump when he was done. He cheerfully agreed. I went inside, got a beverage, and talked to the assistant manager for a bit. When the inspection was done, and the guy had pulled the car up to the pump, the assistant manager actually said that he would go out & pump my gas for me, since the pumps are raised up a bit! I was blown away at how nice & service-oriented these people are. HIGHLY recommend this station!" "Great service- friendly and helpful personnel- Great followup. maintaining a car is expensive but not as expensive if not maintained.
. This facility has been taking care of my cars for around twenty years. I think that says it all. "I've been bringing my vehicles to Battlefield BP for the last 6 years for a few simple reasons. 1) Kadir the station manager and the staff are all very professional and treat me with respect. 2) They are very knowledgeable about my vehicles, understanding what needs to be corrected and providing me with a clear explanation as well as cost. 3) They never recommend services that my vehicle does NOT need done at this time unlike some shops. If it is not critical and can wait until a future visit they'll tell you. If it NEEDS to be done for safety reasons they will also tell you. 4) The value I receive is exceptional I'm getting the same quality factory recommended services at a fair market rate which is important to my family budgets bottom line. 5) Would I recommend this shop to family, friends or strangers. A resounding Yes! Yes! Yes! I would recommend this shop and I have recommended this shop without a second thought. I know that if they come in they will return just as I have and plan to continue bringing my cars in. I was in on 12/20/14 for my Nissan's 90,000 mile factory service and although the shop was very busy with cars being prepped for the holiday road travel Kadir and the service team took care of my vehicle, completed the service and even stayed late until I could return to pick it up. In a day and age where the value of customer service seems to have been forgotten by many larger companies and stations it is the small things they do at Battlefield BP that seperate them from the surrounding competition." "I love this place!!!! Whenever something goes wrong with my car I take it here. Everyone is so helpful especially Kedir thanks a lot!!!" "I would say....these guys are awesome!!! They know what they are doing. They really cares for their customers. I totally trust them with all Three(3) of my cars. I have been getting my car repaired at this shop for over five (5) years and I don't intent on leaving. Forget the Dealer - take your car to "Battlefied BP", where you will be treated right!!! Wow - that should be there slogan!!!" "This is a place where you can trust the person who works on your car and the management team. I have been a customer for over 20 years, with several different car models, and have never had a bad experience." "Friendly, knowledgeable staff. Confident in the work performed. Clean, comfortable lounge area. Efficient! Will definitely return." "Love this place!!!!!! I come here for all my car needs. The staff is always nice and pleasant and willing to make sure you are satisfied when you leave... :) I recommend this auto shop 100%"
"I was extremely happy with my experience. I chose them simply because they were the closest shop when my car had a problem while I was pretty far from home. I didn't know anything about them and was worried they wouldn't be honest or helpful, but they were fabulous. I felt entirely at ease and was back on the road quickly (and cheaply!) I wish I lived closer. I'd use them all the time." "Very excellent. Great customer service. Fast and liable. Kedir and Ali are great!" "The are always exceptional! Best service in town! Have been a loyal customer for over 9 years!"